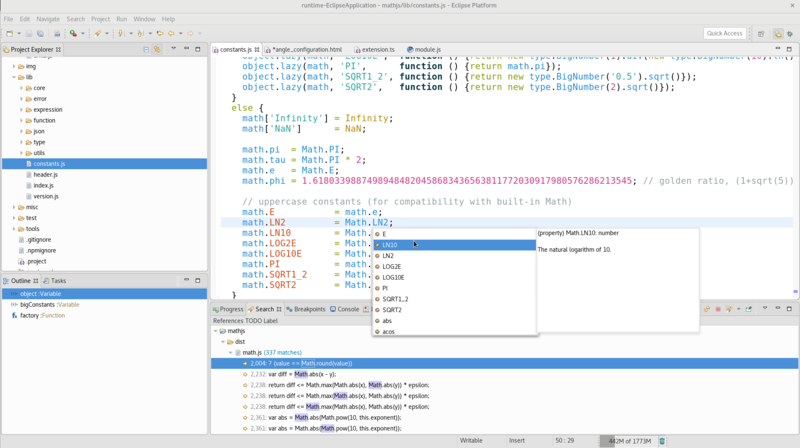 Simple and rich edition of typical main web and configuration files (HTML, CSS, JS, TS, JSON, YAML, XML -with schema support-) and debugging of Node.js apps in the Eclipse IDE. To see it in action, open the desired file with the Generic Editor that's included by default in the Eclipse IDE. This plugin is pretty cool. But the major issue, as for me, is JSON formatting. I cannot format JSON neither through Ctrl+Shift+F nor through RMB->Format (this menu item even inactive). On the other hand, code completion works as expected. P.S. Kubernetes schema support is awesome!